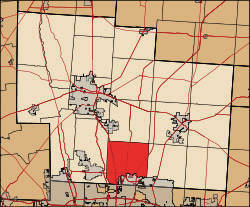 LEWIS CENTER, Ohio—A new multi-use development project is moving forward in Delaware County. The “Kerbler Project” is sited on nearly 300 acres, adjacent to Mount Carmel Lewis Center (7100 Graphics Way) and the newly formed Creekside Industrial Park, just to the east of U.S. Route 23. Located in Orange Township, the project will combine 300 units of multi-family housing with single-family housing, a senior-care facility and retail, light office and industrial development. For more information about economic development in Delaware County, please go to: https://economicdevelopment.co.delaware.oh.us/.